This week’s guest on the Better Human Project is Dr. Emily Kiberd, a chiropractic physician, wellness expert, and founder of Urban Wellness Clinic in Manhattan. Dr. Kiberd’s mission is simple – to optimize every patient’s health in a holistic manner so they (we) can live – sprint, lift, race, stand or work – without pain. Her methods to accomplish this are our focus on this episode – empowering individuals with the tools required to help themselves progress. Dr. Kiberd’s expertise spans several therapeutic fields: biomechanics, yoga, functional movement patterns, and pre-natal. In this episode, we cover simple fixes for desk-bound populations, considerations for better biomechanics in our yoga or movement practices, mental health, building your team, seeking improvement, and individual responsibility for our own development and that of the team. 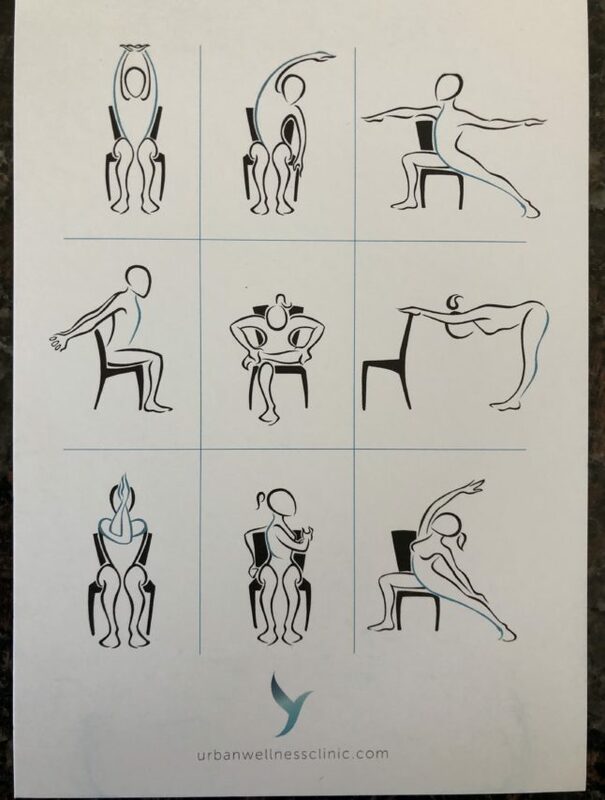 Dr. Kiberd’s clinic focuses on productive habit cultivation around functional long term tools to empower patients with their own rehabilitation. Simple strategies like those outlined in outlined in the cards above, or a timer that goes off every hour to remind a patient to get up and walk around, are just some of the ways Dr. Kiberd extends her reach to patients outside of the clinic doors. Treatment of autoimmune patients focuses around developing strong fundamentals shaped after the Prague Institute/School? and DNS the same way we learned to move as babies. All employees are trained in cultivating a growth mindset. Staff improv sessions encourage teamwork and communication while the book club gives the whole group a chance to learn new ideas together. Keeping patients motivated starts with creating an individualized set of long term goals and mapping out the plan to get there. After her father’s attempted suicide at age 19, Dr. Kiberd became committed to the idea of giving her life to service and trying to become a healer in whatever way that took shape. If you have someone in your life struggling with a mental illness, don’t be afraid to reach out and offer your support. Sharing a meal or getting outside are easy ways to bring someone outside of their current state. Foundational habits like sleep, diet and exercise have ripple effects throughout your life and day. Good sleep, balanced diet and regular exercise are, easily overlooked, baseline necessities for creating a happy life from the ground up. Her work with yoga instructors focuses on re-engaging biomechanical functions. What does it mean to be strong? Being able to choose a task to execute and being able to bring the force and power to execute that task. What have you changed your mind on in the past year? Instead of teaching how YOU do something, ask someone how THEY would act in this situation and guide them to the solution. Be Better: Always stay curious. Do Better: Tell the truth. Your truth specifically.